Tying interest rates to sustainability metrics might be almost unheard of right now, but with the rapid adoption of this accounting strategy by corporate giants like Phillips and Danone, it won’t be long until companies everywhere scramble to implement syndicated sustainability-linked credit facilities of their own. The simple reason companies should, and undoubtedly will, begin implementing sustainability-linked pricing mechanisms and related green loan structures is that they are extremely effective financial solutions. “A transaction that demonstrates that delivering on sustainability will ultimately drive economic performance? Yes, this is the future of banking,” said Yann Gérardin, head of corporate and institutionnel banking at BNP Paribas. In the past skeptics in the finance and banking worlds have written off sustainability measures as expensive, and outside of their altruistic benefits, good for little else than public relations. However, executives are beginning to realize the economic opportunity of linking loan prices to sustainability performance. With sustainability-linked credit, companies can attract better loan pricing and broaden their investor base, providing more economic incentives than traditional financing mechanisms. A report by ING suggests that global green loan growth will outpace the $250 billion green bond market in just a few years. Green loans are simple and attractive to investors, Leonie Schreve, ING’s global head of sustainable finance, told Reuters. Green loans generally offer discounts of 5 to 10 percent on the margin, and they are more easily tailored to the borrower’s needs than green bonds. In 2017 Royal Phillips announced a first-of-its-kind €1 billion revolving credit facility that ties its interest rates to year-over-year sustainability metrics. Per the terms of the loan, if the health technology company’s sustainability performance improves then its rates go down. If it degrades, they go up. Phillips’ environmental friendliness is measured using data from Sustainalytics, a leading, independent provider of environmental, social, and corporate governance (ESG) research and rankings. The deal was the first in the syndicated loan market to link interest rates to a Sustainalytics rating. The pricing arrangement is also unique in that unlike traditional green bonds and loans that limit the use of proceeds to environmental purposes, this revolving credit facility can be used for “general corporate purposes,” offering Phillips maximum flexibility. ING serves as the “sustainability coordinator,” of the facility, as part of a syndicate of 16 banks. “Creating sustainability incentives in a financing structure is a mind-shift in corporate financing and a clear innovation in the market,” said Gerro Goedhuis, head of syndicated finance at ING. 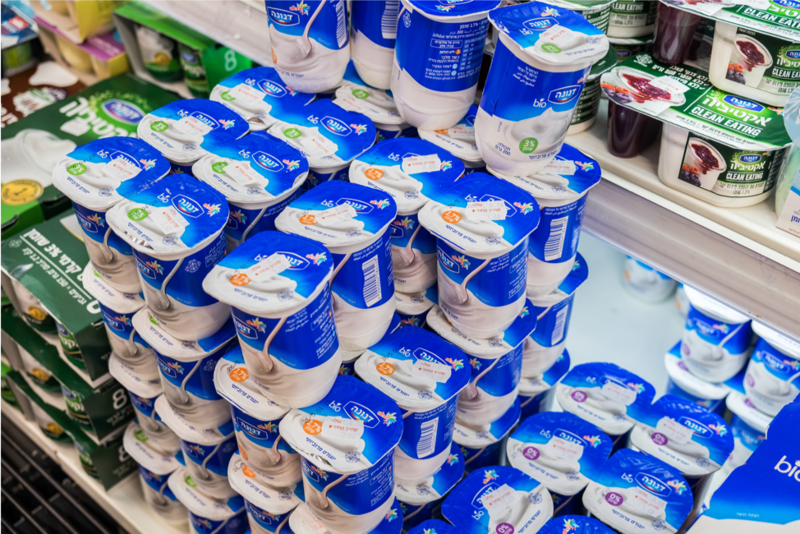 French food products company, Danone, introduced ESG criteria to its syndicated €2billion credit facility in February. Danone’s credit facility includes a credit line adjustment mechanism based on sustainability scores from both Vigeo Eiris and Sustainalytics. Performance is also measured based on the percentage of consolidated sales by Danone’s certified B Corp subsidiaries. The crux of the arrangement is still the same — if the firm outperforms its environmental goals, it gets a discount, and if it underperforms, it will pay a premium. CMS Energy, which owns Michigan’s largest electric and natural gas utility, in June became the first U.S. borrower to establish syndicated sustainability-linked revolving credit facilities. The $1.4 billion of new loans enables CMS to reduce its interest rates by meeting targets related to renewable energy generation, which includes goals to increase the share of electricity produced by renewables to 40 percent, reduce carbon emissions by 80 percent, and phase out all coal-fired power plants by 2040. “We are excited to be a trendsetter in the United States entering an innovative credit facility, where sustainability and financial results go hand-in-hand,” said CEO Patti Pope. Also in the utility space, energy services holding company Avangrid announced last week a new $2.5 billion syndicated sustainability-linked credit facility. The pricing mechanism, which involves 21 lenders, “allows Avangrid to adapt liquidity to its $14.4 billion investment plan for the 2017-2022 period,” the company wrote in its press release. Similar to CMS Energy, sustainability performance will be judged based on the company’s commitments to carbon neutrality and increased renewable energy generation. Want to learn more? Schedule a consultation with Tricia Dunlap. ⟵Creating a Limited Liability Company (LLC)? Not so fast.